Hey dears! It's the end of the weekend, and before we get started with the nitty gritty of another workweek (or perhaps you're reading this on a Monday morning, reluctant to start work? 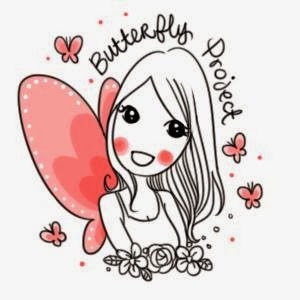 ), I'm here to bring to you part three of my three-part journey to the Lost World of Tambun, thanks to the Butterfly Project! If you missed out on Part 1 and 2, don't worry, I've linked them here! Part 1, Part 2. This time around, I will be telling you all about my relaxing journey at the Lost World of Tambun Hot Springs and Spa! The Hot Springs boasts 100% natural mineral hot springs, and has six different pools in its vicinity. They are the Crystal Pool, Infinity Pool, Top of the World Pool, Steam Cave, Foot Spa, and Saphira's Lair. Thanks to LWOT, that night, a section of the Hot Springs was cordoned off just for the butterflies, and we were treated to a special BBQ that was ordered just for us! All the decorations were neatly done up to welcome us, and there were quite a few stations that was prepared. There was the Fortune Telling corner, mask corner, and also a massage area set up thanks to the Crystal Spa! It is said that our fortune teller is one of great clairvoyant skills. You can just stand there, and she can immediately tell you something about you that is personal only to you. The staff there also said that most of her predictions are true and on the dot, she can even tell you at what age you will die. Quick snap of all of us at dinner :D hehehehe that's me holding up my prawns! I wasn't kidding when I said they set up a massage centre for us specially by the Crystal Spa. All of us took the opportunity to go for a head and shoulders massage, and it was gooooooood. The staff at the centre really could dig into our pressure points and relieve our shoulders of the tension. It was too good that I went twice! The two bowls I'm holding contains the coffee formulation. On the left is the coffee mask, and the right is the coffee scrub. These two products are said to have whitening properties, so I decided to try it out. Verdict: Yes, they do have whitening properties, and while it's really obvious for some people, it's not that obvious for me :( I could see that Furfer's arms were really obvious. Thanks to LWOT, we were all given a pack of the mask and scrub to bring back to use, and I tell you, it is heaven! Apart from using on our hands, the Coffee Body Mask can also be used on our faces. We found out about that later into the night, and all of us clamoured to lather it on and feel how it's like. One of the honours of going as a Butterfly blogger was that we had the Crystal Pool closed down just for us! The Crystal Pool was specially designed with crystal tiles the glimmers and reflects the sunlight by day, and bathed in colourful lights by night. The temperature in this pool was a whopping 41 degrees, and most of us took quite a while to get used to it. But once we got comfortable in the water, we didn't want to get up! There's a reason why we usually take hot showers, and it's because the steam calms us down and soothes our nerves. Same thing here, I felt very relaxed after a while, and was slowly swimming around and had lots of fun. After soaking in the hot Crystal Pool, we then decided to explore all the other pools in the area. We made a trip to the Infinity Pool (41 degrees), Top of the World Pool (43 degrees), and the Saphira's Lair (37-40 degrees). One special thing about the Top of the World Pool is that it also doubles as a sort of spa, where there are jacuzzi like bubbles, with pampering massage jets that allows for hydro massage for who ever goes in there. Saphira's Lair is the most common pool that visitors frequent, mostly because it's temperature is easier to bear. There are colourful and luminous lights that help reflect the pool, and is suitable for everyone, even children. One thing I like about the Hot Springs is that they get their water source straight from the Banjaran itself. According to the staff there, the water sourced from the Hot Springs is about 90-100 degrees, but thanks to their R&D, they have managed to lower down the temperature of the water to a mere 37-43 degrees, depending on which pool you're at. So what did you think about the Hot Springs? Have you made your way there before? If yes, tell me how you felt in the comments section below! The Lost World Hot Springs and Spa opens at night daily from 6:00pm to 11:00pm. wah so naisss! i miss having girly trip!